First impressions are lasting! The front door greets the prospect. Make sure it is fresh, clean, and paint the trim. Keep lawn trimmed and edged, and the yard free of refuse. Reseed the lawn and fertilize if necessary, weed th gardens, and add mulch. Deep green grass makes a lasting impression. In winter, be sure snow and ice is removed from walks and steps. Decorate for a quick sale. Faded walls and worn woodwork reduce appeal. Why try to tell the prospect how your home could look, when you can show him by redecorating? 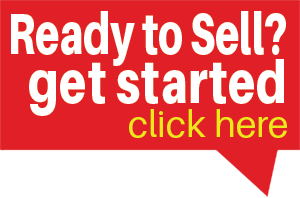 A quicker sale at a higher price will result. An investment in removing any wallpaper will pay dividends. Do the windows and window screens work well and look good? Have the windows spotless. Are the appliances operating properly and sparkling? Repairs can make a big difference. Loose knobs, sticking doors and windows, warped cabinet drawers and other minor flaws detract from home value. Have them fixed. From top to bottom. Display the full value of your attic, basement and other utility space by removing all unnecessary articles. Brighten dark, dull basements by painting walls and adding brighter light bulbs. Safety first. Keep stairways clear. Avoid cluttered appearances and possible injuries. Pack excess linens and clothing to make closets look bigger. Neat, well-ordered closets show the space is ample. Bathrooms help sell homes. Check and repair grout in bathtubs and showers. Make this room sparkle. Don’t let the Handy Man add gobs of caulking when grout is what you need. Arrange bedrooms neatly. Remove excess furniture. Use attractive bedspreads and fresh looking window coverings. Have I removed or mentioned to my realtor any attached items that are not included, such as special chandeliers, shelving or garden plants? Am I familiar with similar homes on the market that I may be competing against? Have I asked my realtor for a list of ways I can improve the “marketability” of my home without wasting time and money? Can you see the light? Illumination is like a welcome sign. The potential buyer will feel a glowing evening when you turn on all your lights for an evening inspection. Am I ready to disclose any structural defects such as roof, foundation or wiring problems? Have I started looking for my new home? Do I know what I want in another home? What do I need to do to prepare for my upcoming move? Whenever possible leave your house for showings, if not, follow the tips below. Three’s a crowd. Avoid having too many people present during showings. The potential buyer will feel like an intruder and will hurry through the house. Music is mellow. But not when showing a house. Turn off the blaring radio or television. Let the your agent and buyer talk, free of disturbances. Silence is golden. Be courteous but don’t force conversation with the potential buyer. He wants to inspect your house–not to pay a social call. Be it ever so humble. Never apologize for the appearance of your home. After all, it has been lived in. Let the trained agent answer any objections. This is his/her job. A word to the wise. Let your Realtor discuss price, terms, possession and other factors with the customer. They are eminently qualified to bring negotiations to a favorable conclusion. Use Remax Select Realty. We ask that you show your home to prospective customers only by appointment through this office. Your cooperation will be appreciated and will help us close the sale more quickly. Setting the proper asking price for your home is the single biggest factor that will determine the success or failure of your home sale.The consequences of making the wrong decision are painful. If you price your home too low, you will literally give away thousands of dollars that could have been in your pocket.Price it too high, and your home will sit unsold for months, developing the reputation of a problem property (everyone will think that there is something wrong with it).Failure to understand market conditions and properly price your home can cost you thousands of dollars and cause your home not to sell… fouling up all of your plans. We Won’t Let This Happen To You! Utilizing the latest computer technology and my in depth knowledge of the market, we will analyze current market conditions in combination with your personal time requirements to identify the correct price range for your home.You can’t afford any “guesswork” in this critical step! The value of your property is determined by what a BUYER is willing to pay in today’s market based on comparing your property to others SOLD in your area. Buyers ALWAYS Determine Value! FASTER SALE: The proper price gets a faster sale, which means you save on mortgage payments, insurance, and other carrying costs. LESS INCONVENIENCE: As you may know, it takes a lot of time and energy to prepare your home for showings, keep the property clean, make arrangements for children, and generally alter your lifestyle. Proper pricing shortens market time. MORE MONEY TO SELLERS: When a property is priced right, the excitement of the market produces a higher sales price in less time. You NET more due to the higher sales price and lower carrying costs. REDUCES ACTIVITY: Agents won’t show the property if they feel it is priced too high. LOWER ADVERTISING RESPONSE: Buyer excitement will be with other properties that offer better value. LOSS OF INTERESTED BUYERS: The property will seem inferior in amenities to other properties in the same price range that are correctly priced. ATTRACTS THE WRONG PROSPECTS: Serious buyers will feel that they should be getting more for their money. HELPS THE COMPETITION: The high price makes the others look like a good deal. ELIMINATES OFFERS: Since a fair priced offer will be lower than asking price and may insult the seller, many buyers will just move on to another property. CAUSES APPRAISAL PROBLEMS: Appraisers must base their value on what comparable properties have sold for. LOWER NET PROCEEDS: Most of the time an overpriced property will eventually end up selling for less than if it had been properly priced to begin with, not to mention the extra carrying costs. Timing is extremely important in the real estate market. A property attracts the most activity from the real estate community and potential buyers when it is first listed. It has the greatest opportunity to sell when it is new on the market. How long does it take to sell a home? There is no easy answer – some homes sell in a few days, others may take several months. Recognizing the key factors influencing a sale can give you significant control over market time. LOCATION: Location is the single greatest factor affecting value. Neighborhood desirability is fundamental to a property’s fair market value. COMPETITION: Buyers compare your property against competing properties. Buyers interpret value based on available properties. TIMING: The real estate market may reflect a seller’s market or a buyer’s market. Market conditions cannot be manipulated; an individually tailored marketing plan must be developed accordingly. CONDITION: Property condition affects price and speed of sale. Optimizing physical appearances and advance preparation for marketing maximizes value. TERMS: The more flexible the financing, the broader the market, the quicker the sale, and the higher the price. Terms structured to meet your objectives are important to successful marketing. PRICE: If the property is not properly priced, a sale may be delayed or even prevented. Our comprehensive market study will assist you in determining the best possible price. Comparable properties which closely match your property’s characteristics. When evaluating your property, certain tolls are used to determine price such as: comparable sales, competitive listings, square footage, locations, amenities and general condition. These properties will help to find a fair market value for your property and help to decide the proper listing price. Fair Market Value has been defined as: The highest price which the property will bring when exposed to the open market. Will the cost of improvements or maintenance add to the value of your home? Perhaps, but often not for the full amount of what you’ve spent. Would you pay $30,000 more for a house with a swimming pool? You may not even want a pool. How about $10,000 more for a house with a new roof? You would certainly expect a roof that does not leak. Property “A” (Your property) has a 400 foot deep well that cost $15,000. Your water supply is abundant and tasty. Property “B” (Also for sale just like yours) has an 80 foot deep well that cost $5,000. Their water is also abundant and tasty. If you were the buyer, would you pay $10,000 more for Property “A”? The Gina Giampietro Team has a unique system to attract buyers and ensure that each buyer will be properly assisted in finding the home that they are searching for. The Gina Giampietro Team has buyer specialists that focus specifically on assisting the large inventory of buyers that the innovative marketing strategies produce. Each buyer is interviewed to determine the features and specifications that they are looking for in a home. That data is then entered into a computer system that will list the homes that match the buyer’s criteria. The Gina Giampietro Team listings are automatically first on the list. Buyers are given the features and benefits of those homes that meet their criteria, and will be assisted by a buyer specialist through each step of the process.We focus all our efforts on finding a buyer for your home, unlike traditional agents who passively wait for a buyer to come along.The system allows the buyer specialist to give exceptional service to a large inventory of buyers. We May Already Have a Buyer for Your Home! I am constantly looking for ways to give my clients advantages over competitors in the marketplace that go beyond the traditional methods of marketing and promotion. All color picture and description of your home will be quickly available to over 100 million people worldwide – anyone with access to the Internet on their computer! Accept: If all the terms are acceptable, you can sign the offer. Once written acceptance is delivered to the Buyer or the Buyer’s Agent, we have a ratified contract. Reject: An “unacceptable” offer should not be taken personally. Consider trying a counter offer first. If outright rejection is necessary, remember that an offer is best rejected in writing, so that it is clear to the Buyer that you’ve made an active decision. Counter Offer: Terms which are not acceptable or are not addressed in the original offer are spelled out as desired in a counter offer. As with acceptance, once a written response is delivered to the person making the counter offer, we have a ratified contract. Negotiations may entail more than one counter. Multiple counter offers: Multiple counter offers can arise when you are faced with several offers that are “in the ball park.” Special considerations apply to the timing and acceptance rules in the situation- we must be careful not to sell the house more than once! Be sure the points you’re negotiating are truly important to you. Remember, offers and counter offers can be withdrawn in writing any time before written acceptance is delivered.